June 24th 2016 will go down in history as the day the UK people voted to leave the EU. Over the next 2 years, as the UK and Europe prepare to break the ties – there will be many businesses and individuals thinking about moving to Ireland. Many businesses from outside the EU have their European HQ in London. Now that London and the UK will no longer be part of the EU – many of those companies will be planning to move. Ireland , being fairly close and being an English speaking country still in the EU – may well be the first choice of many firms . Ireland is already the home to the EU HQ of several of the world’s biggest and best known companies. Google , Ebay , Facebook , Twitter, Amazon and Intel have all chosen Ireland as the hub of their European networks . For employees based in the UK it might be a concern , moving to a new country – but Ireland is a safe , friendly country with some similarities to the UK. 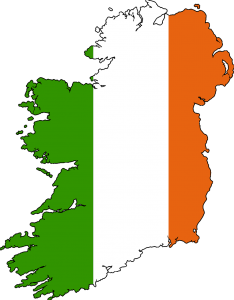 Search through this site IrishLinks.co.uk for more information about Moving to Ireland and Living in Ireland.